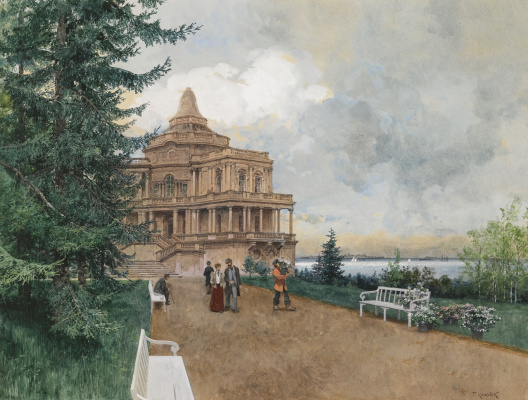 These curious paintings were painted by artist Franz Kopallik. Even in western sources about him rather scant information: born January 4, 1860 in Vienna, in 1878−1884. 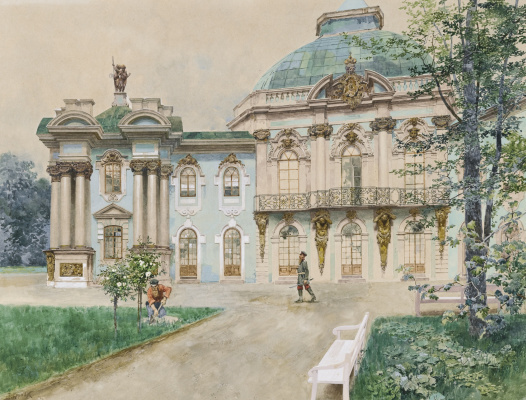 attended the Vienna School of Arts and Crafts, until 1919 was a professor at the gymnasium. 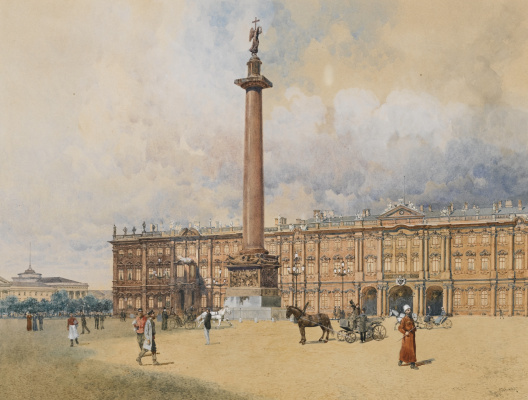 In 1890, Copallicus became a member of the Vienna Union of Artists, and in 1906 received a gold medal at the international exhibition in Milan. 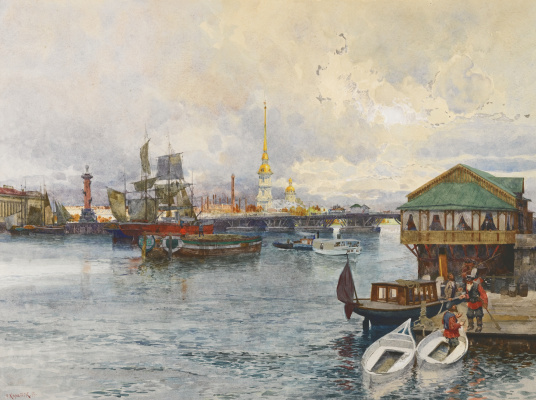 The auction site was able to find out that Franz Kopallik came on a visit to Russia in 1898. He was invited to the court of Emperor Nicholas II, namesake, the ambassador of Austria-Hungary in Russia (from 1894 to 1899) — Prince Franz (born Liechtenstein), since 1929 — Franz I — Prince of Liechtenstein. 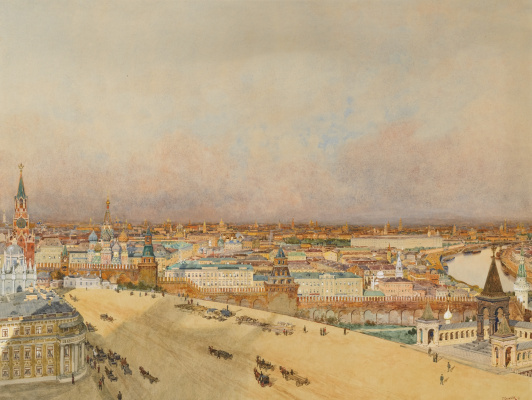 As a result, in 1898−1899, the artist painted several paintings made with pencil, ink, watercolor and gouache on paper, depicting St. Petersburg, Vyborg and Moscow. Franz Kopallik died on January 29, 1931 in Vienna, where he was buried at the Döblinger Friedhof. 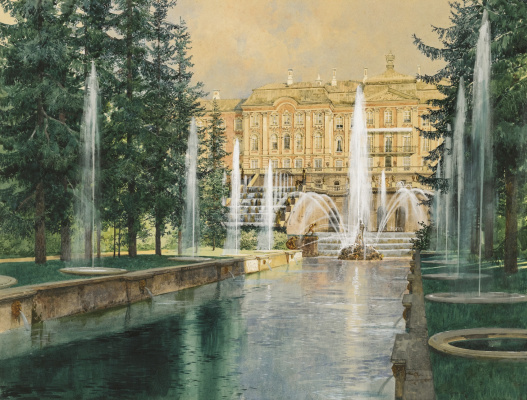 Until 1943, Russian paintings by Franz Copallic were located in Schloss Wartenstein Castle in Germany. Then they ended up in Vienna. In 1982, the collection moved to Liechtenstein in the castle of Vaduz (Schloss Vaduz). April 1, 2008 at auction at Christie’s in Amsterdam, it acquired the property of the Prince’s House of Liechtenstein. 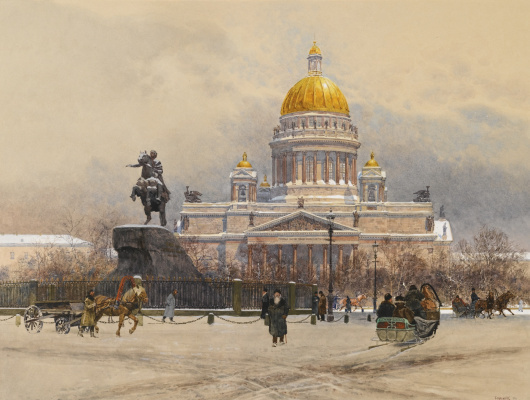 The most expensive painting "St. Isaac’s Cathedral" cost them 50,650 euros. 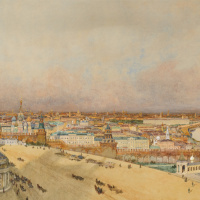 In June 2015, some paintings from the Russian collection of Kopallik were exhibited at Sotheby’s auction, but the price at these auctions fell slightly. 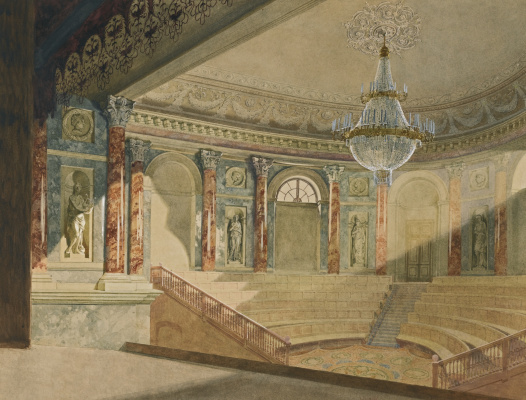 Most of the works purchased in private collections in the UK. 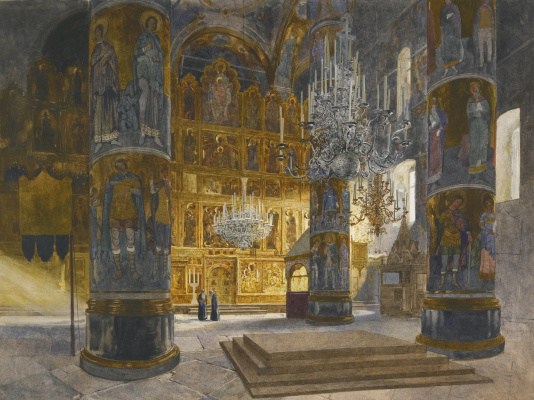 Interior of the Cathedral of the Assumption of the Blessed Virgin in the Moscow Kremlin.